Western would like to say a Great Big Thank You to the following staff for going over and above in the past and continually doing so! 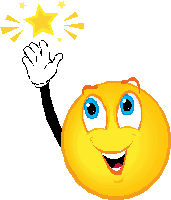 Warren F – Camp 59 Andy T – Camp 190 Ruth M – Camp 190 Kudos! We had a contest for the month of December – The Most Original Snowman and The Snowman with the Most Western Spirit…here are our winners! Western makes Alberta Venture’s “2013 Fast Growth 50″ list!